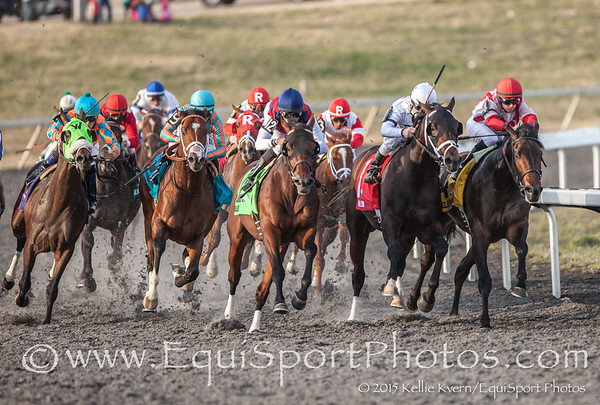 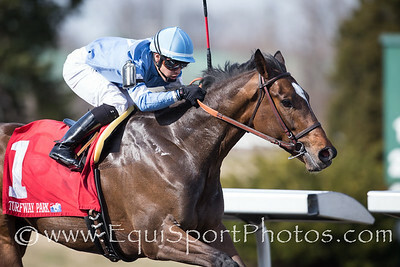 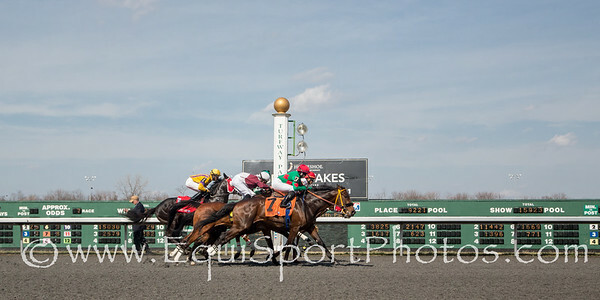 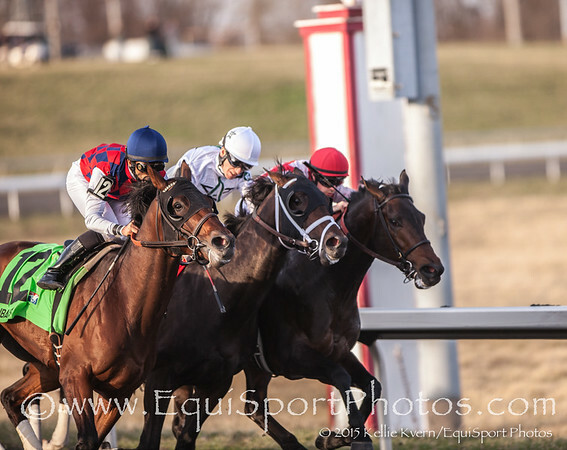 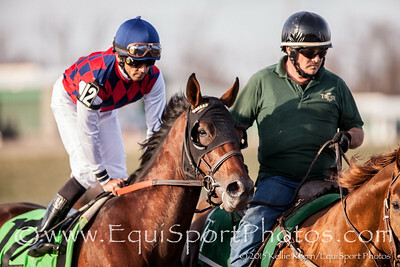 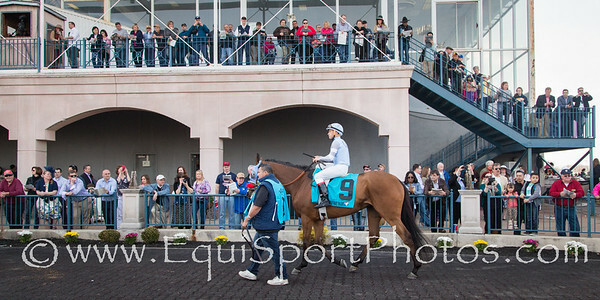 Dubai Sky (Candy Ride) wins the Spiral Stakes (G3) at Turfway Park on 3.21.15. 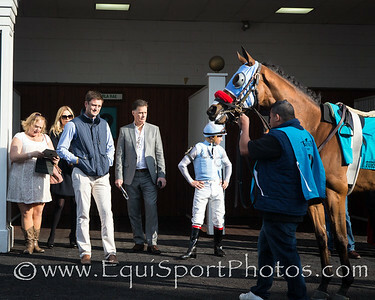 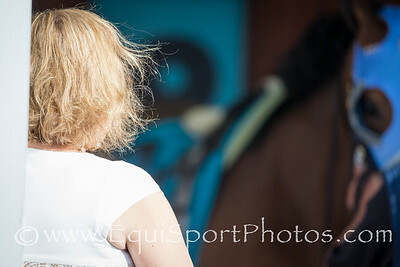 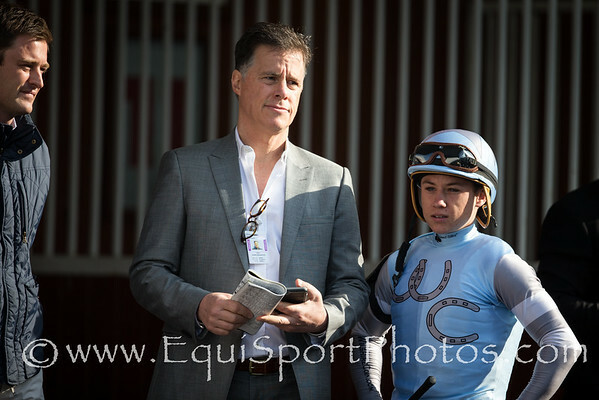 Jose Lezcano up, Bill Mott trainer, Three Chimneys Farm owner. 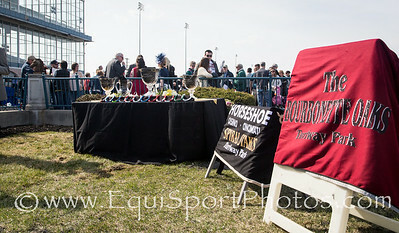 The awards for the winners on Spiral Stakes Day at Turfway Park. 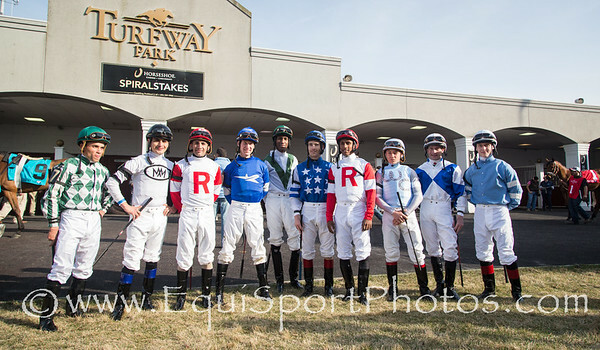 The jockey's for the Bourbonette Stakes.